A weekly editor has been put in overall charge of a series of print and digital titles in the latest Trinity Mirror management shake-up. As reported by HTFP on Tuesday, Gloucestershire Echo editor Matt Holmes has been made redundant following TM’s decision to take the paper, along with Gloucester sister title The Citizen, weekly from next month. Now TM has revealed to staff the full scale of how its senior management structure will change in its Bristol, Gloucestershire, Somerset & Dorset division following Matt’s departure. The changes will see Bath Chronicle editor Rachael Sugden, pictured above, become senior editor in Gloucestershire and take on editorial responsibility for the county’s entire print and digital portfolio, while current Citizen editor Jenny Eastwood will become digital editor in Gloucestershire. Jenny will report to Rachael but remains a “senior member” of the management team, according to TM, and will be responsible for the day-to-day management and growth of the Gloucestershire Live website in her new role. Meanwhile Western Daily Press editor Gavin Thompson will become the new editior of the Chronicle in addition to his existing role, and will focus on growing the audience of the Bath weekly’s website. To allow Gavin to concentrate on the digital remit of his expanded role initially, Press deputy editor Richard Bache will become the Bristol-based daily’s acting editor until March 2018. The changes were revealed in a memo to staff, which has been seen by HTFP, sent by Bristol Post editor Mike Norton, who also serves as the division’s editor-in-chief. He said: “I’m sure you will join me in wishing Rachael, Jenny and Gavin well in their new roles. 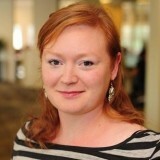 Rachael has been editor of the Chronicle for just over a year, having replaced Lynne Fernquest in the role in September 2016. Before that she held a number of roles at the Bristol Post including launch editor of its Weekend magazine, deputy features editor and is currently its lifestyle content editor. The new appointments are effective from this coming Wednesday. HTFP has asked TM for a comment. A terrible decision to get rid of Matt, he was a top journalist who knew his way around digital.